One cup of cow’s milk has 8g of protein, 12g carbohydrate, and varying amounts of fat depending on if it is non-fat (0g), low-fat (2.5-5g), or whole (8g). 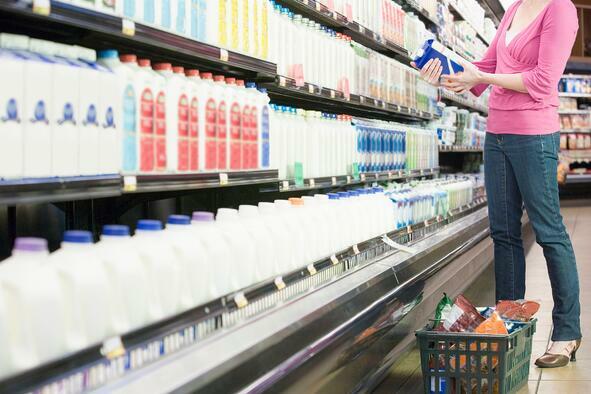 Many dairy products are also fortified with vitamins A and D. One cup contains 30% of the recommended Daily Value (DV) of calcium and 50% DV of Vitamin B12— two nutrients we especially care about at InsideTracker. 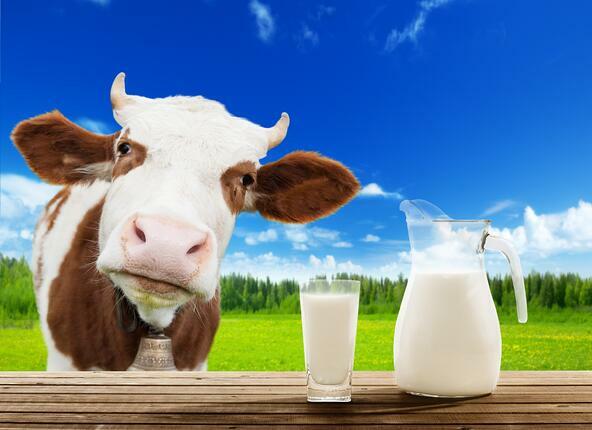 Milk also contains whey protein, which has been linked to some other health benefits. Goat’s milk is very popular in Asian and African countries, and while goat’s milk cheeses have been around for some time in the U.S., goat’s milk yogurt and kefir have only recently seen an increase in popularity as the lactose in goat's milk is reportedly easier to digest for those with lactose intolerance. A one cup serving contains 9g protein, 11g carbohydrate, and 10g fat. They are sometimes fortified with vitamin D but less frequently than cow’s milk. 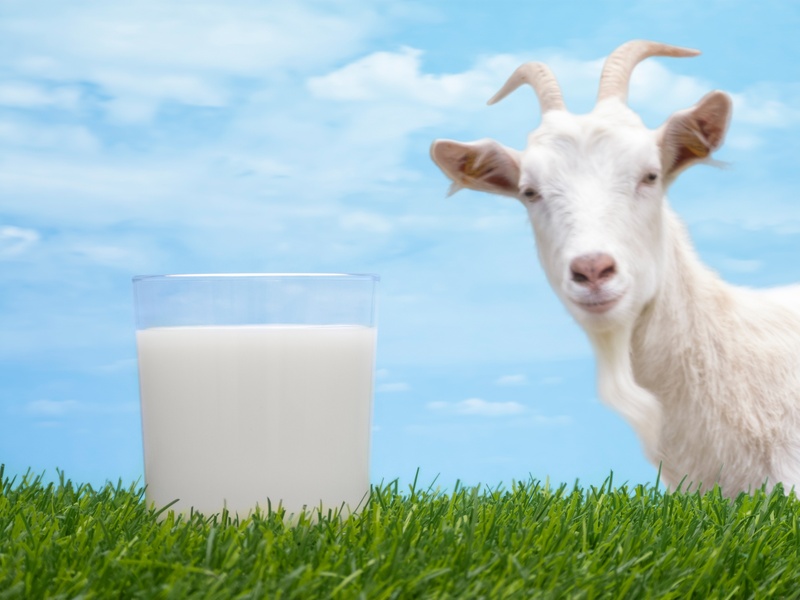 Goat’s milk also provides the same amount of calcium, but substantially less vitamin B12. Additionally, you will only find the “whole” or full-fat variety. However, goat’s milk provides slightly more of some essential amino acids (building blocks of protein we must get from food sources). Soy milk, perhaps the first non-dairy milk to gain widespread popularity, closely resembles cow’s milk in terms of protein, carbohydrate, and fat content. One cup of unsweetened soy milk provides 8g protein, 14g carbohydrate, and 5g fat. 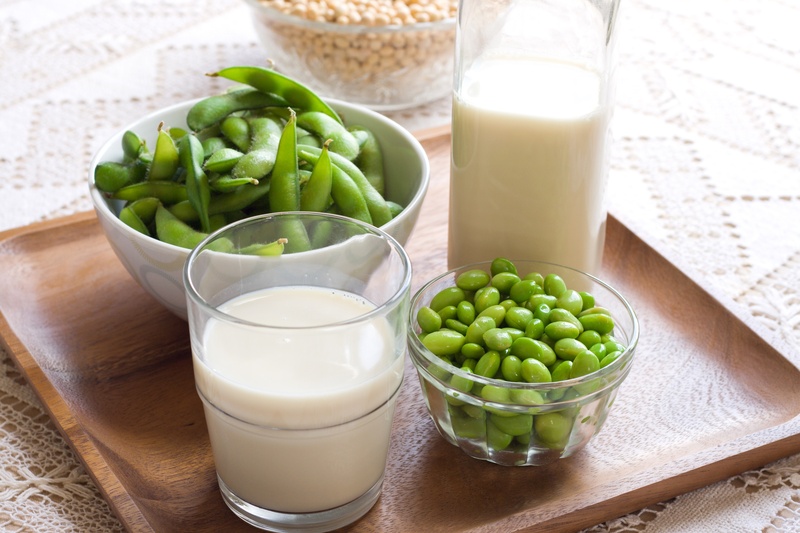 Most commercially available soy milks are fortified with B vitamins, calcium, vitamin D, and phosphorus, either in equal or greater levels than what is found in cow’s milk. Unlike most other types of vegetarian protein sources, soy is a complete protein that contains all 9 essential amino acids. The fat composition in soy milk is different than dairy because it is mostly polyunsaturated (including high amounts of omega-3), compared to saturated fats found in cow’s milk. Soy is also high in isoflavones, a potent class of antioxidant. BE WARNED: many soy products on the market are flavored and/or sweetened. These products are high in sugar and should be avoided. Almond milk has drastically grown in popularity in recent years. Unlike soy and cow’s milks, almond milk has low amounts of macronutrients with 1g protein, 2g carb, and 3.5g fat per cup. It is also substantially lower in calories than other milks. 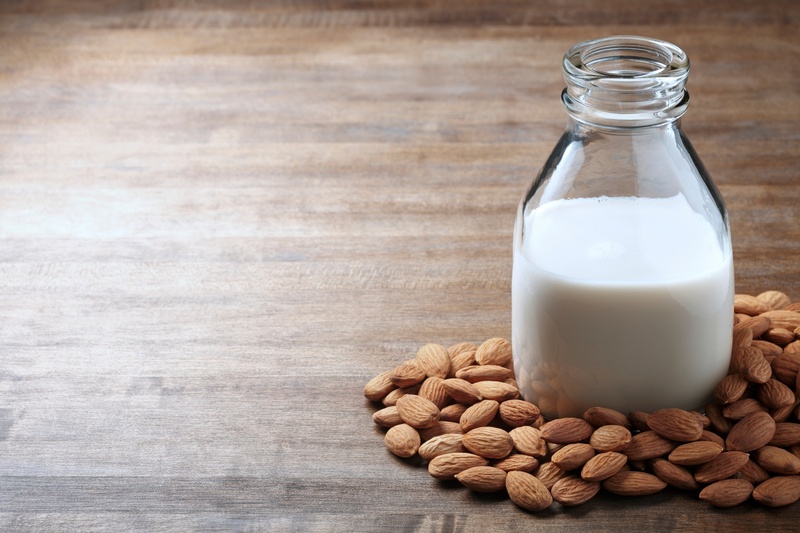 Similar to soy milk, commercially available almond milks are fortified, making them an excellent source of calcium, B vitamins, vitamin D, and phosphorus. Akin to other milks, sweetened and flavored varieties should be avoided due to high sugar content, particularly in yogurts. A somewhat recent addition to the non-dairy milk team, full fat coconut milk has 2g protein, 4g, carb, and 34g fat per one cup serving. It is not usually fortified so it doesn’t contain comparable levels of B vitamins, calcium, and vitamin D as other milks. Of note is the fat content, which is primarily saturated. 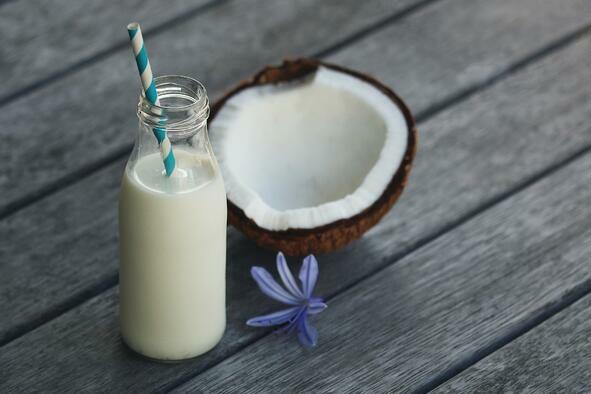 There are new non-dairy blends that include coconut milk. These are closer in nutrition content to almond milk and may be fortified. 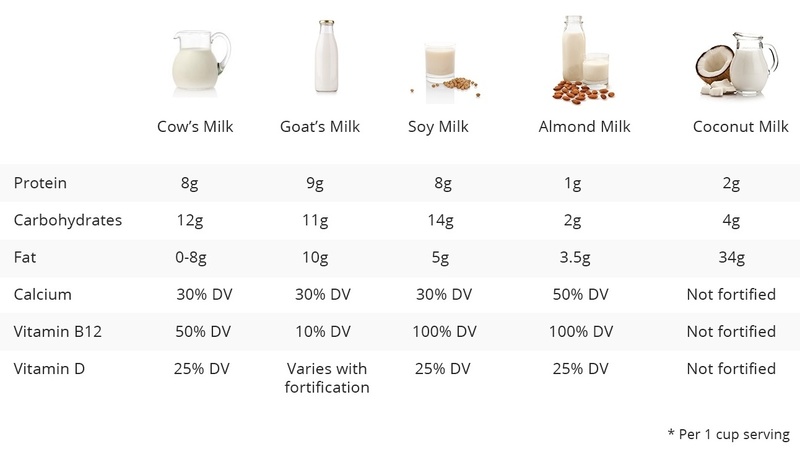 Hopefully this breakdown of the differences between “milk” varieties is helpful in making the best decisions for your diet. All of our recommendations take your preferences into account, so whether you are dairy, soy, or nut free, or all of the above, we will display the dairy or non-dairy options that are best suited for you!